VIRGINIA BEACH, Va. — An elderly woman suffered burns to her face after her Oceanfront apartment caught fire Saturday morning, officials said. The fire occurred in the 400 block of 16th Street and was under control around 10:02 a.m., Virginia Beach Fire Department PIO Art Kohn said in a news release. When firefighters arrived they found heavy smoking coming from the inside of an apartment. Crews found the woman near the front door and she was helped by firefighters and a police officer. She was taken to a local hospital with burns to her face and is in serious but stable condition. The other apartments in the building were not damaged by the fire, Kohn said. 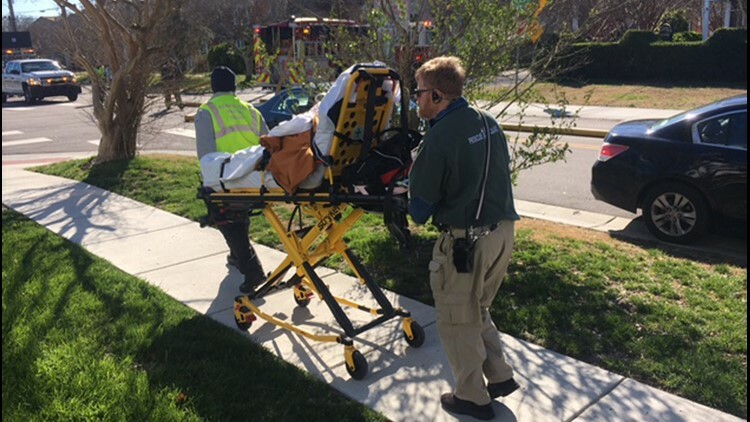 A press release issued by the Virginia Beach Fire Department said the fire was started when the woman who was injured in the fire was smoking a cigarette while using assisted oxygen. She was the only person injured in the fire. Three other residents, including a mother and a baby, escaped unharmed.